The experts say Apple's self-driving car project is cancelled, delayed or converted into a software play. They'll also tell you that cars are a weird business for Apple to be in. The experts have it all wrong. Apple is going pedal-to-the-metal on building a car and for good reason. Here’s why. Steve Jobs wanted Apple to make an "iCar." The late Apple founder and CEO wanted more than that, according to J. Crew CEO and chairman Mickey Drexler, who served on the Apple board from 1999 to 2015. Jobs wanted Apple to reinvent the automobile industry. The idea of an Apple car was considered crazy talk — until word leaked about a secret Apple initiative called "Project Titan," which reportedly involved more than 1,000 engineers. It has since emerged that Apple maintains a secret car-testing lab in Silicon Valley near Apple's headquarters, which reportedly operates under the fake company name SixtyEight Research. But then reports emerged late last year that hundreds of "Project Titan" employees were reportedly removed from the project. 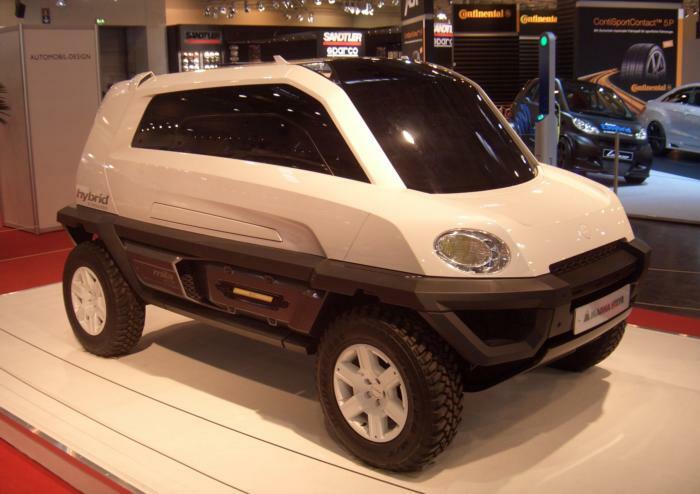 The Mila Alpin concept car was developed by a car contract manufacturer called Magna Steyr, which Apple is reportedly working with. Tech and financial pundits interpreted this events in various ways. Some said the car project was essentially canceled. 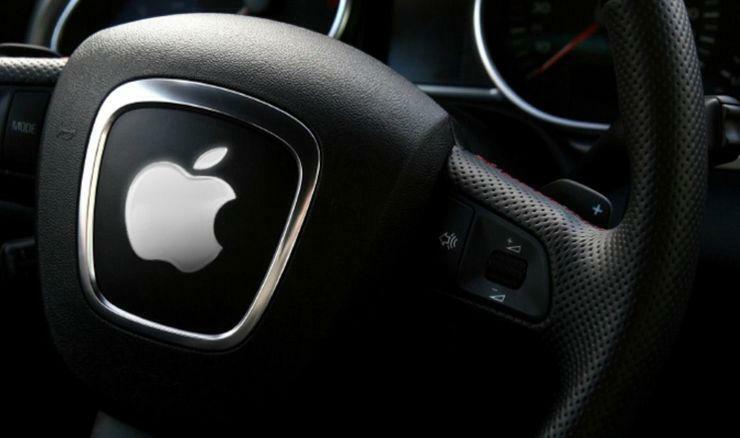 Others said Apple is moving forward with cars, but is too far behind to catch up. Most experts say that "Project Titan" has become a software play — that Apple will simply design an operating system for cars, but not the cars themselves. These conclusions are almost certainly wrong. What's driving Apple's interest in cars? Apple reached a major milestone this week. The company broke the $800 billion market capitalization barrier. In order to keep growing, however, Apple needs to enter and conquer gigantic new markets. Wearables and home automation gadgets will never represent a significant market compared with smartphones. Apple's next industry has to be much bigger even than today's smartphone market, which in 2016 was a roughly $430 billion industry. But which market? What's even bigger than smartphones? The evidence that Apple is interested in the auto industry expands way beyond "Project Titan." CarPlay, Apple's in-dash infotainment system enables stuff on an iPhone to be controlled on the dashboard and played through a car's speakers. More tellingly, one year ago, Apple invested $1 billion in Didi Chuxing, China's home-grown version of Uber. That investment bought Apple a board seat, access to ride-sharing data and Apple's involvement in Didi's self-driving car project. We learned in March that Didi opened an artificial intelligence-based, self-driving car lab near Apple's headquarters in Silicon Valley. Didi's president, Jean Liu, the daughter of Lenovo founder Liu Chuanzhi, was named one of Time's 100 Most Influential People. Apple CEO Tim Cook personally wrote the Time profile of her. Read more Will Samsung unseat Intel as the world’s top chip maker this year? Apple's unprecedented investment in Didi, and its close relationship, suggests that Apple wants to learn all about the technology and consumer behaviour around the ride-sharing industry. Overall, Apple is investing heavily in cars. One analyst estimates that Apple has invested $5 billion on automotive research since 2013. Since the launch of the iPod in 2001, Apple's obsession has been to transform the user experience for content consumption and communication on mobile devices. The company has done this by controlling hardware, software and services for the iPhone, iPad and laptops. In the past, cars were primarily about driving and secondarily about content consumption. With autonomous cars, that prioritization will be reversed. Fully automatic cars will be battery-powered living rooms on wheels. As Apple Chief Operating Officer Jeff Williams said in 2015, "the car is the ultimate mobile device." Without the need to pay attention to driving, there will be nothing to do in a car except listen to music, watch TV and movies, enjoy VR experiences, read and chit-chat with friends over video calls. All this is Apple's wheelhouse, and with self-driving cars, it's literally a wheelhouse. As with phones, Apple will tap into a significant slice of the automotive pie and make cars a high-margin business by designing and selling the hardware and software, selling a wide range of services, and taking a massive cut on content. Experts are speculating that Apple has either cancelled its plans to build cars, is going forward but is dangerously far behind, or has settled on a software-only strategy for cars.